The first look at Community Spotlight this week comes from ardnut and his awesome range of Goliath gang members who have been given a sterling paint job indeed well worthy of adventures in the Underhive. 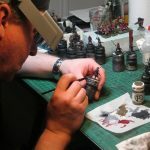 The painting on this gang is insanely good, picking out lots of things that make Necromunda stand out as a game. 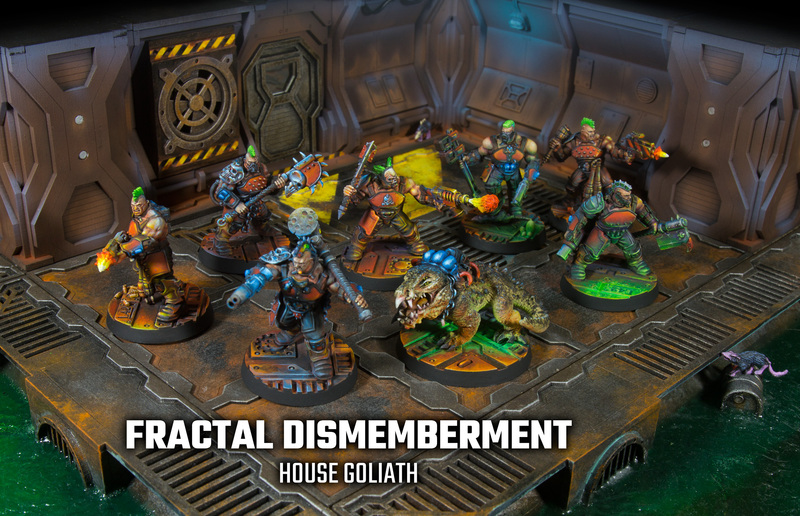 As well as bringing in those traditional colours for House Goliath there's also an amazing level of object source lighting worked into the bases and coming from some of the more deadly weapons. It all looks evocative and very 'comic book' which is perfect. I picked out this model in particular from the set as I thought the subtle way that the green had been done worked very nicely indeed. The effects here LOOK like the cover of the game box or one of those old magazines that Games Workshop used to bring out. 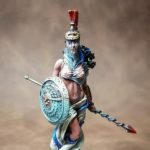 I think the use of non-metallic metals and such really helps tie the models into that theme too, offering up a cohesive group that is not lacking in character. 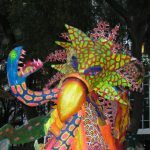 You can also see this sterling work continued on this monstrous pet the Goliath's have put into play alongside them. It's nice to see more work going into the organic as well as the synthetic. 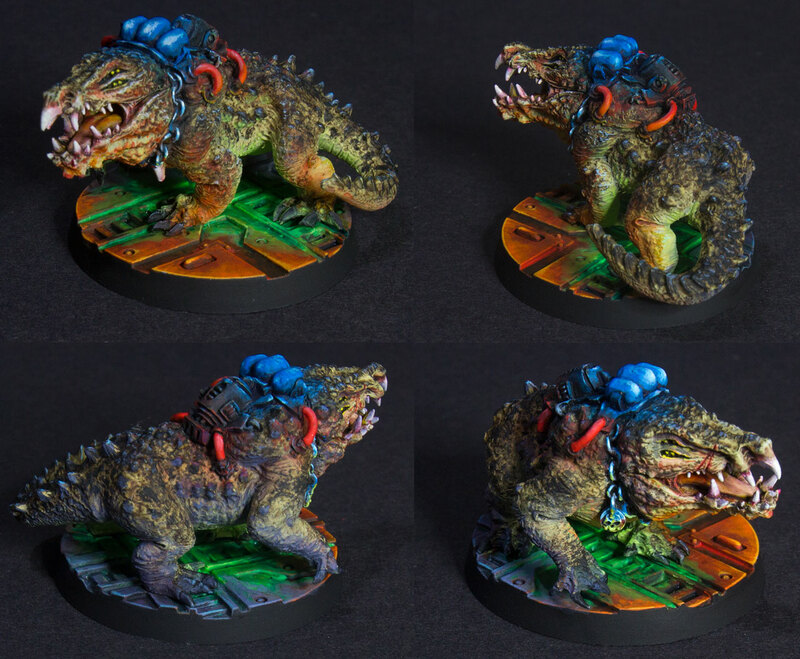 That lizard-like skin has come out very nicely indeed and you could imagine this beast stomping around in the Underhive, looking for prey as the Goliath's charge into the action. 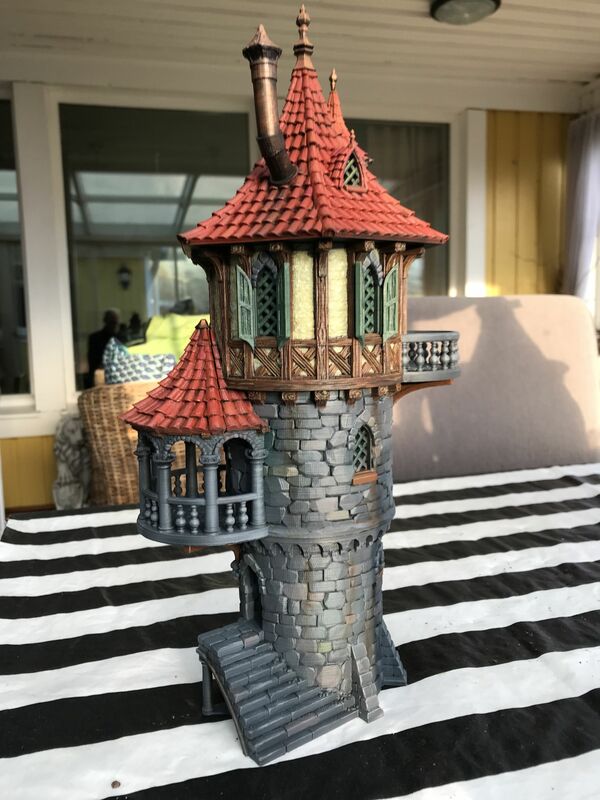 Next up we're turning our attention to janus1004 who has been working away at some 3D printing, namely this Wizard's Tower from Printable Scenery. It's awesome to see that the printing process was able to make such a brilliant building possible. Whilst there are still a few noticeable bits here and there that betray the printing process it is otherwise a perfect piece of terrain for throwing into a Fantasy game. And, here it is painted! The project took around sixty hours to print and janus1004 even went into detail on the weathering here, adding in real oils to give it that ancient feel. 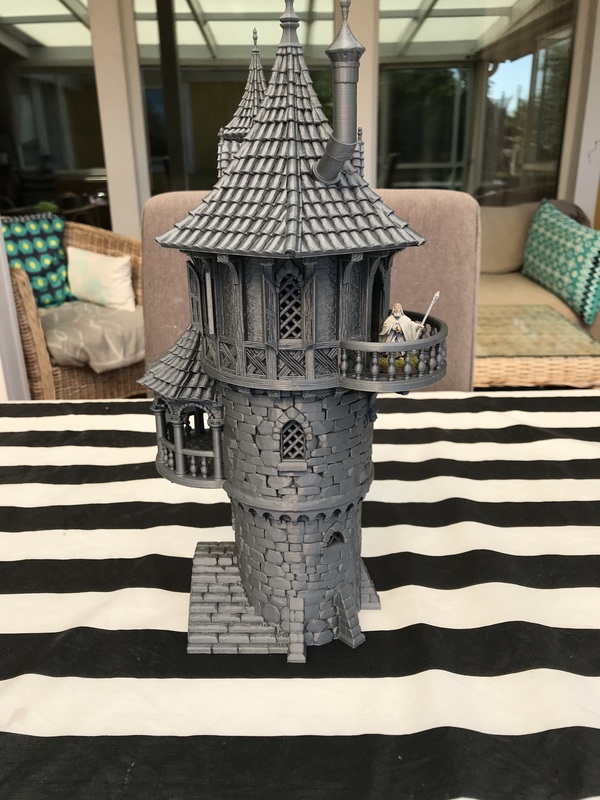 I think some additional detail could be worked into the stone around the tower section but other than that the painting here is great and it's nice to see a 3D printed project coming to life. 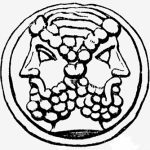 For those interested, the terrain was printed on a Prusa i3 mk3 and I'm sure janus1004 would be happy to give you some help and advice! Finally, we have this awesome piece of kit from doctorether. 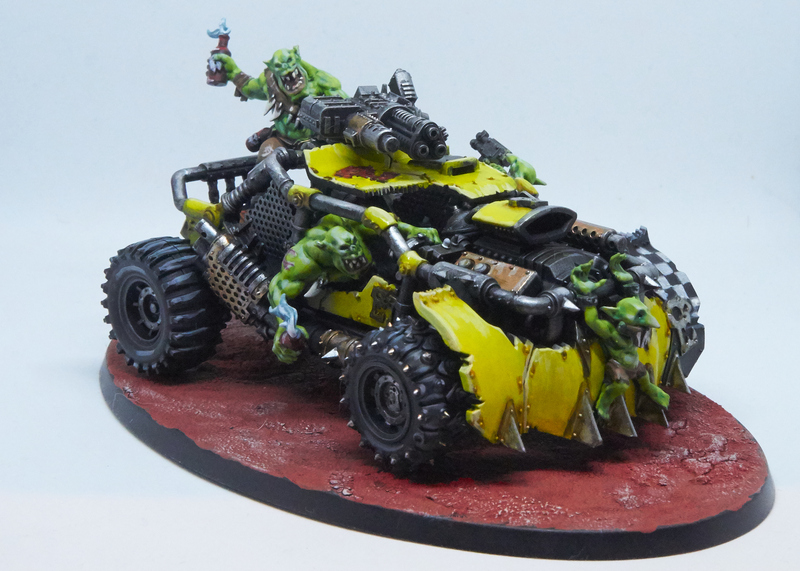 He has been really getting into painting up some Speed Freeks and one of his latest projects was this Boomdakka Snazzwagon! I think you'll agree that despite the dark tones across the entire piece, the yellow has really popped on this new piece. It really is very striking and I love how in places doctorether has put in some slicked paint where the Orks haven't been very careful. The work on the bright green skin of the Orks and Grots too, making them stand out from the dark metal and black tyres. 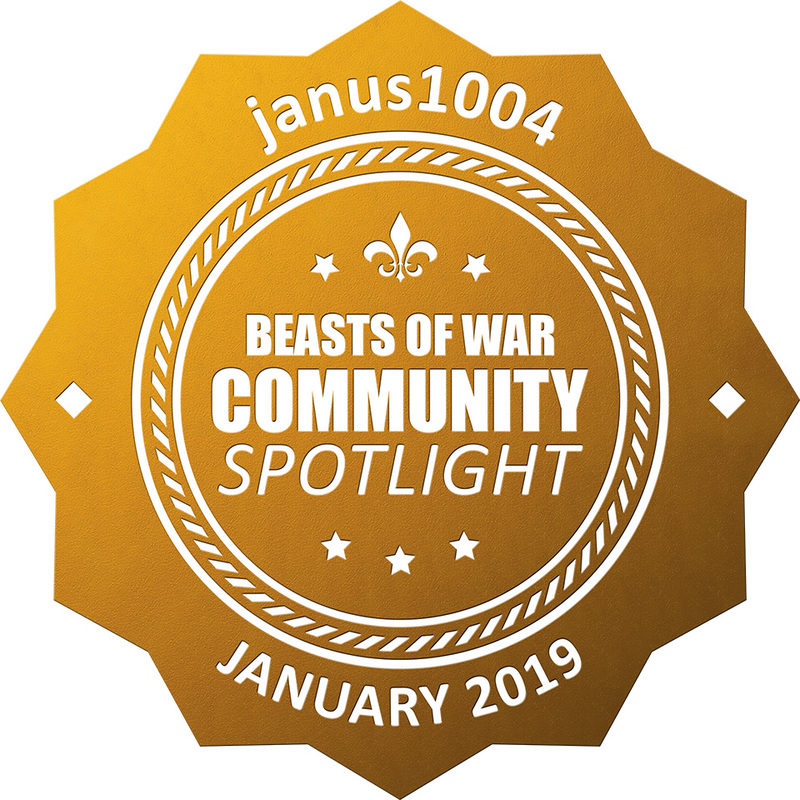 Pieces like these show off just how much fun you can have with Orks. 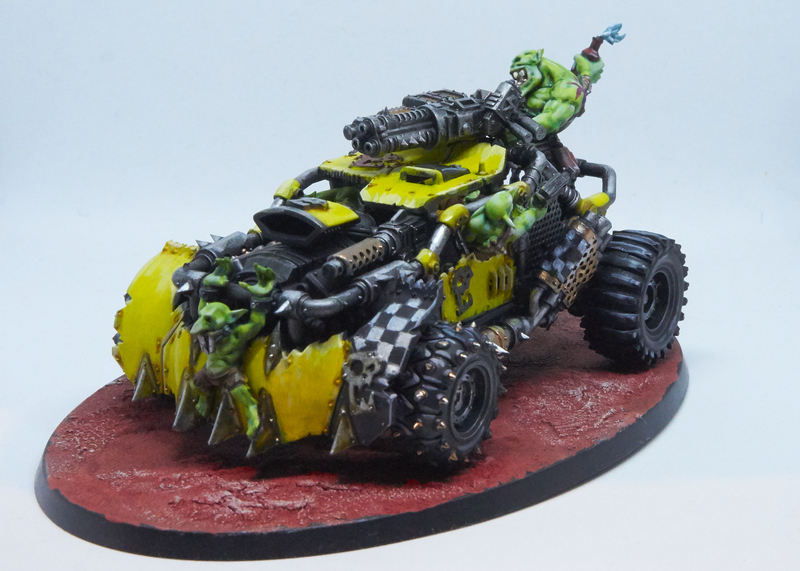 There's a lot of interesting techniques to emply including work on metallics, getting bright colours to pop, and of course the quirky crew who race these vehicles into the midst of carnage. 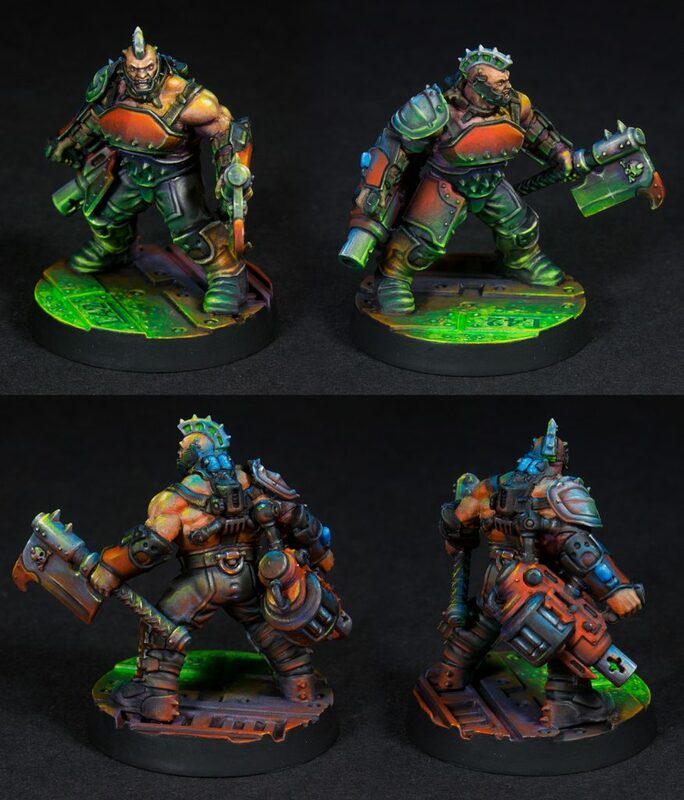 Love the Necromunda Paint jobs. Superb work everybody. Well done!